This is a 1995 Celebrity Status 230. This boat has great lines and looks good on the water. Not only does it look good but it has plenty of get up and go with a 300 horsepower 7.4L Mercruiser. With a seating capacity of for 10, you will have plenty of room for family and friends. The seating configuration is ideal for watching skiers. The bow is deep and spacious. With the bow filler cushions, you will have plenty of space to soak up the sun. Comes with bimini top and covers (bow & cockpit). 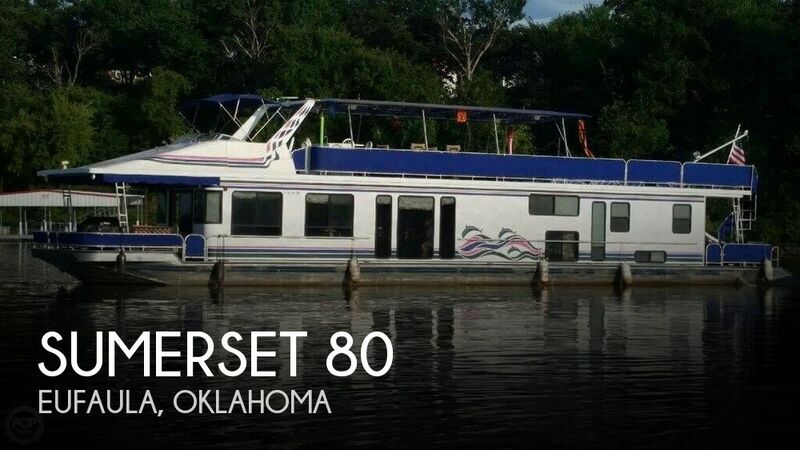 This is an older nice little Glastron walkthrough cruiser which provides an excellent ride around the river, lake, or ocean. Can pull waterskier, tuber, or kneeboard. Economical on fuel, plenty of pep. Volvo outdrive is very dependable and requires very little maintenance. Bimini top provides plenty of shade and the cushioned seats are luxurious. There is plenty of storage space for toys or camping equipment. Get the feel of a luxury yacht in a small economical package and have fun with your family and friends on the water.